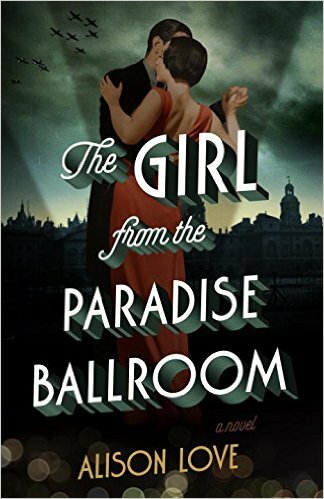 An epic love story featuring an Italian singer and a British dancer, set against the backdrop of war-torn England. 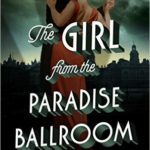 The first thing that struck me about this novel, The Girl from the Paradise Ballroom, was that it has a very specific soundtrack. We meet Antonio when he is a temporary singer at the eponymous Paradise Ballroom, and song titles are peppered throughout the story. All those lovely standards, classics, even if they’re not classical, didn’t just set the period for this novel; they set the tone, and they did so brilliantly. As a musician, I found that the mentions of songs peppered throughout the narrative really kept me hooked. In Soho one of the cafes, Ricci’s, was open still. Antonio could hear the rise and fall of voices punctuated by the twang of a mandolin. He thought of Maurice Goodyear’s parchment face, of eanie’s violent scent, of the way he had fluffed a high note in “Night and Day.” He tried not to think about the tango dancer, and the terrible thing she had done to her own body. A flock of rooks flew across the iron-gray sky, cawing as they landed in the beech trees beyond the orchard. Olivia was standing on the terrace where once, on a sunlit evening, she had drunk juniper-scented Negronis with Uncle Dickie. She was huge and stately in a loose crimson dress, her hair knotted untidily at her neck. Language like this is just delicious to read, to submerge yourself in. Of course, language and music aren’t enough, there has to be plot an character, but again, Love’s work is outstanding. Olivia and Antonio are the central figures of the novel, and they are brilliantly written: flawed, funny, sad, passionate, vivid, real people., but the supporting characters, Bernard, Danila, Filomena, others, are equally well-defined. 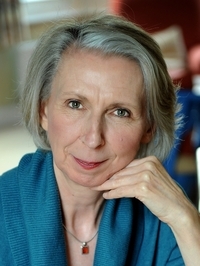 The story – two people who meet and connect, who are constantly drawn to each other despite having separate lives, and being committed to other people – is a familiar one, but even though the bones of the plot are familiar, mixing it into a period piece that focuses on the Italian experience of World War II makes it fresh and interesting. 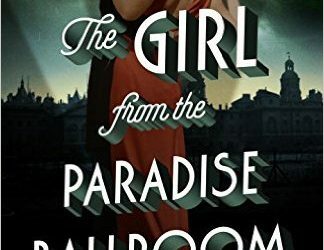 I didn’t just enjoy reading The Girl from the Paradise Ballroom; I felt as though I’d been transported by it. I hope you let yourself be transported, as well. Goes well with a glass of Merlot and a smoky baritone. One lucky reader in the United States or Canada will win a paperback copy of this book. To enter, find me on Twitter (@Melysse), follow me, and retweet my tweet about this book review OR leave a comment here (you must use a valid email address) and tell me about a song that has particular meaning for you. This giveaway opportunity is open until noon, central time, on Monday, May 23rd.